Let the Photographer’s Quick Guide Series help you turn your photography into a money maker, by leveraging the opportunities that suit YOU best. There are more ways to make money from your photography than you have probably ever imagined ! Let the Photographer’s Quick Guide Series help you turn your photography into a money maker, by leveraging the opportunities that suit YOU best. 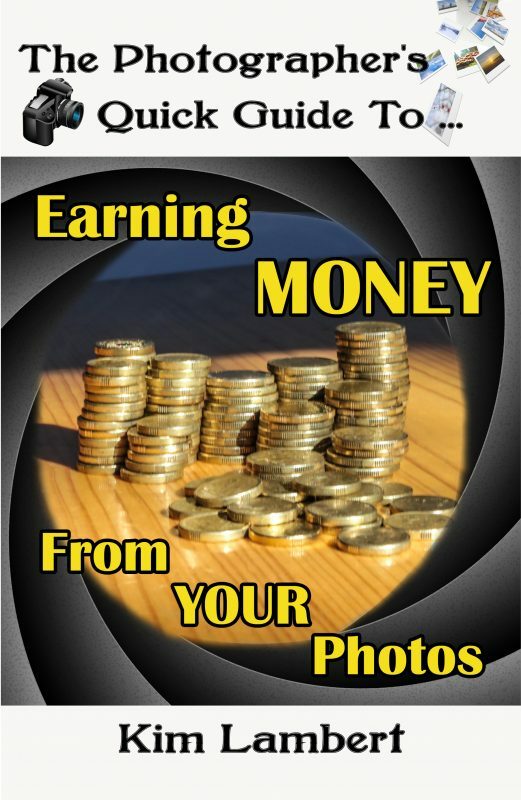 The Photographer’s Quick Guide to Earning Money From Your Photos will give you all the information that you need to get started on adding to your income today. Whether you have a lot of photographic experience or a little, you will find the information in this book invaluable. There are more ways to make money from your photography than you have probably ever imagined ! Learn what makes a photo “money worthy”, and what not to do, as well as different types of photography that can make you money, and where you can sell your photos. She is also the owner of a publishing company (http://www.dreamstonepublishing.com ) which publishes books for a variety of authors, and also works with other large publishing companies to enhance and update their current catalogues for digital book delivery. Kim is the creator of the Product Creation Launchpad course (http://www.productcreationlaunchpad.com/pclsp ) and the Zero to Book 3 day writing course. She lives near Canberra, Australia, and travels as often as possible.